crown above the eye, and dark on face below the eye. The biggest challenge this year at the Tempe Town Lake Aquatic Bird Survey was trying to tell the difference between the Eared Grebes and the Horned Grebes, both in their very un-showy winter plumage. 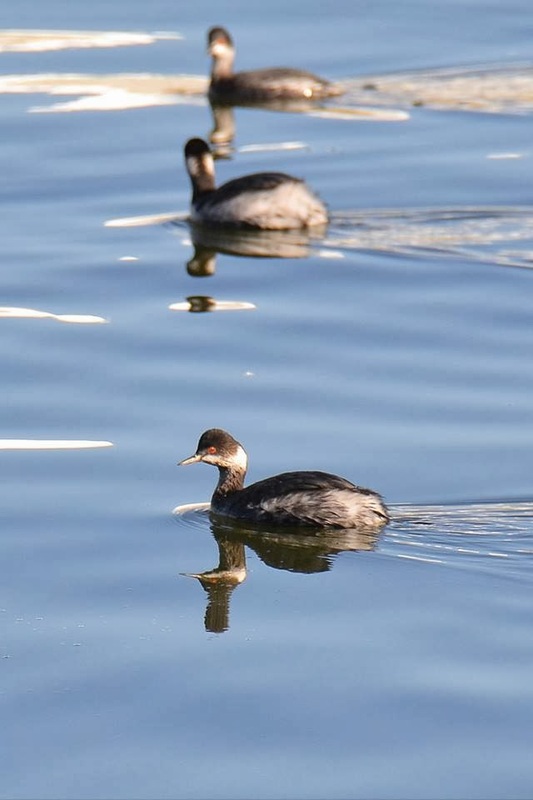 A pair of Horned Grebes were known to be lurking among the lake grebes this winter so the search was on. 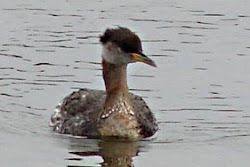 We looked for the Horned Grebes to have a much whiter neck, no high rear end, and solid white under the line of the eye. Eventually two grebes were spotted that stood out from the rest, one shown below. Though not easily seen, and varies with age, the Horned Grebe has ruby red eyes while the Eared Grebe has a golden eye. The Horned Grebes were also slightly larger. 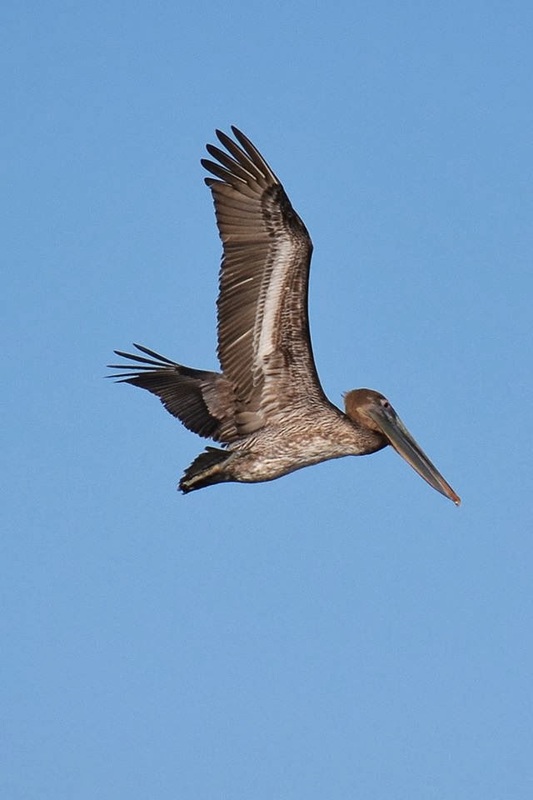 Two juvenile Brown Pelicans entertained us throughout the count as they circled above the lake searching for breakfast, occasionally making exquisitely ungraceful dives into the water. So we nick-named one "Cannonball" and the other "Buster Brown". (NE end of TTL) just a few days before the count. No Ring-necked Ducks seen on count day. 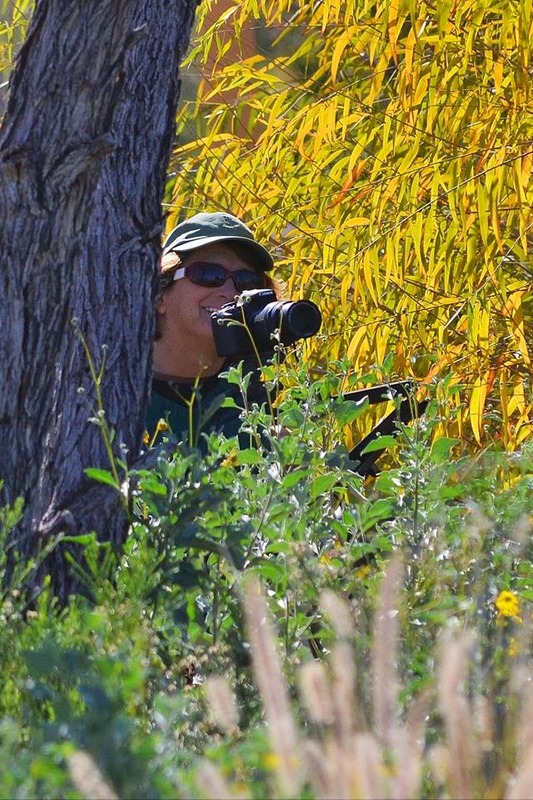 Me peering through the brush at Jeff "Big Bird"
Our foray into the mini-marsh viewing area was less fruitful than years past, with no sightings of the Buffleheads, Blue-winged Teal, Green-winged Teal, or Cinnamon Teal. 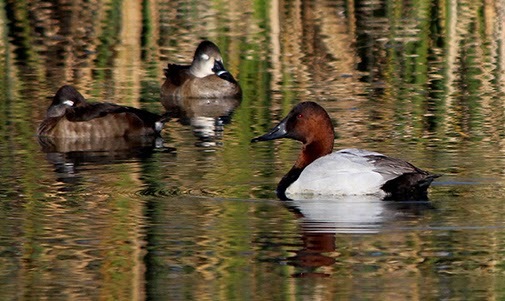 But a nice family of Canvasbacks were there amongst the usual Coots. In the area between the mini-marsh and the lake there were much fewer Ruddy Ducks, and no Sandpipers or Black-necked Stilts to be seen poking around the shoreline. 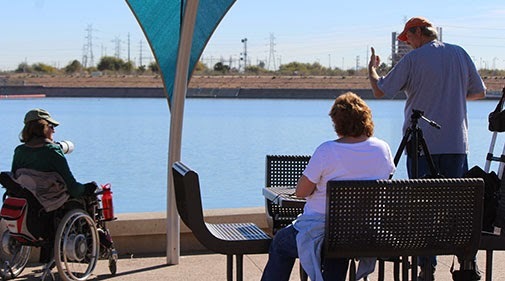 We ended the day at the north side marina next to the Papago Stables, hoping to catch a glimpse of the Bald Eagle who "fishes" there. 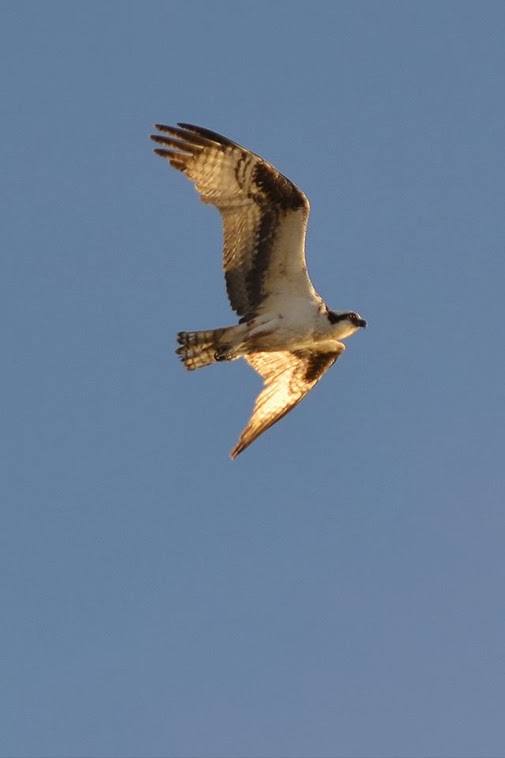 By "fishing" I mean stealing fish from the Osprey. 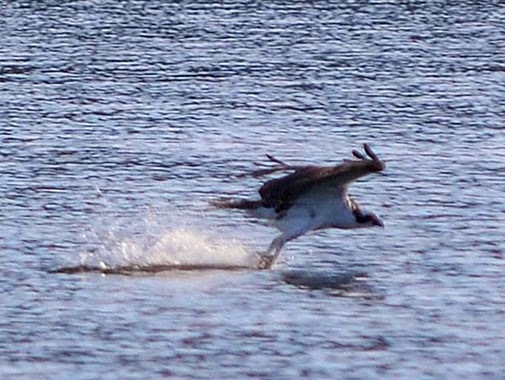 The Bald Eagle was not seen, but three Osprey put on a show for us, soaring high, then suddenly diving fast into the lake. At times they just skidded across the lake, dragging their feet along the water and eying the lake for fish feeding on bugs at the surface. 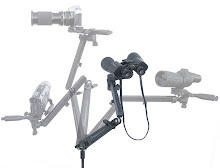 We had a total of 18 species (24 in 2012, 2013) and a total of 229 birds counted (629 in 2012, 174 in 2013). 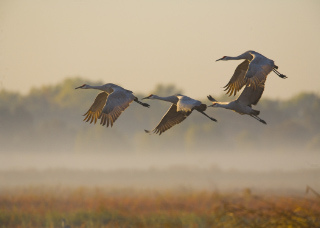 Our area included the habitat just downstream from the new pedestrian bridge, the entire lake, and the small marsh area near Curry and Miller Roads. Missing this year were the Blue-winged Teal, Green-winged Teal, Ring-necked Ducks, Buffleheads, Black-necked Stilts, Spotted Sandpipers, and Great Egrets. New this year were the pair of Horned Grebes. Water levels upstream of the lake were extremely low this year, with no water at all beneath the McClintock Bridge, and Tempe Marketplace Marsh nearly dry. Peggy Thomas and Wynn Ronstadt, with Jeff Stemshorn giving a thumbs up to the end of count day 2014. Special thanks to Jeff Stemshorn and Wynn Ronstadt for coming up from Tucson to help with the count. Thanks also to Don Witter, Joyce Goodman, and Jackie Anderson from Desert Botanical Garden, and to my personal assistant Kimberly White-Knight. Great job everyone! 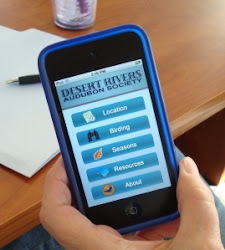 Don and Joyce conducted the census at the very dry Tempe Marketplace Marsh. Their census count is listed below. 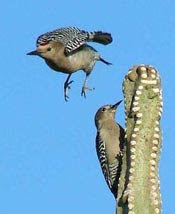 These surveys are part of the Arizona Game and Fish Department's "Greater Phoenix Area Water Bird Census". 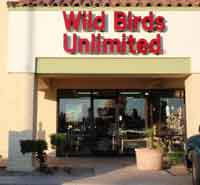 The Greater Phoenix Area Waterbird Census is held each year on the third Saturday of January. 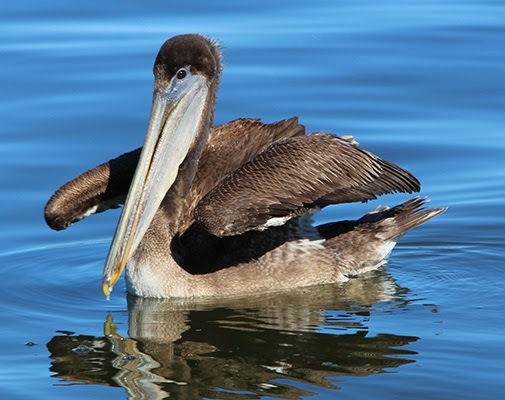 The survey includes ducks, geese, herons, egrets, coots, cormorants and shorebirds and covers all the urban lakes, ponds (including golf course ponds), and canals throughout the greater Phoenix Metropolitan Area.